Christmas | Can Men Cook? OK – it’s Christmas Eve here – so the cooking begins. All the really hard stuff – the deciding and shopping is done. If we haven’t got it now – tough! So, this is my first day of Christmas. What can be done today? Two things – the stuffing and Cranberry Sauce. 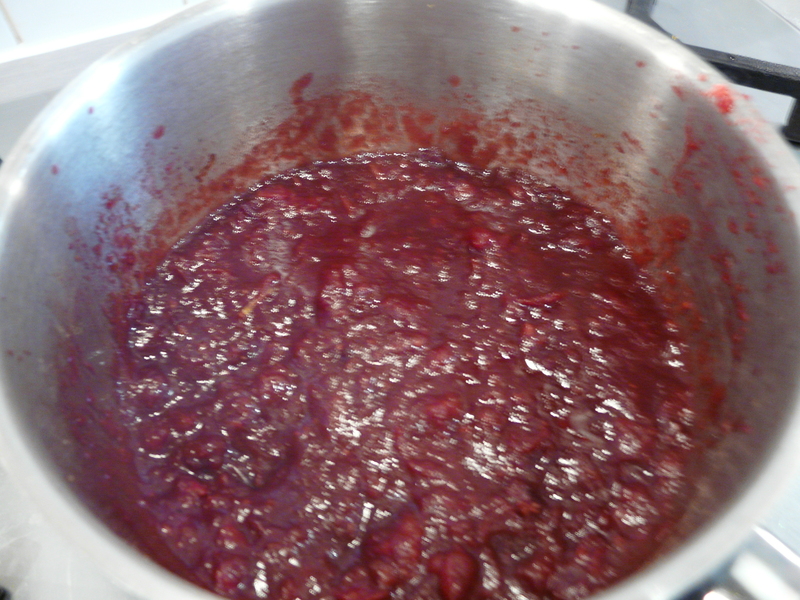 let’s start with the cranberry sauce. I’ve used two recipes combined and a bit of my own. Look – I know you can get branded jars of the stuff at the shops – but just read the ingredients. You may be surprised…and realise why it always tastes so sweet? Here they are in their uncooked state. There is also about 3 oz. of soft brown Demerara sugar; Haf a teaspoon of dried Cinnamon; 1/4 teaspoon of ground cloves; a quick grate of nutmeg; the zest and juice of one orange; a few drops of lemon juice. And after cooking – I stir in a couple of dessert spoons of sweet port. 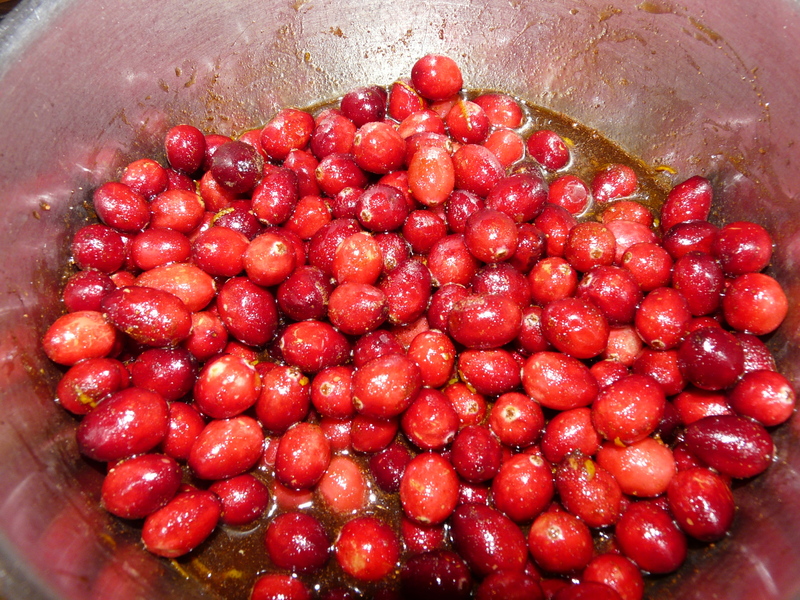 Both my old recipes say to mince the cranberries first. I panicked – as I don’t have a mincer – (Yes, Jay – I know you have one for Christmas – not much use to me here though, is it?). So – lets just boil it up for 5 minutes and see what happens. After just 5 minutes simmering, and a bit of a pulping with the trusty potato masher – et voila! Easy peasy, lemon squeezy. Mashed and cooling – ready for the port! Add the port as it is cooling – and a lot of the alcohol will evaporate. When cool, put into a couple of ramekins (so you can place one at each end of the long family, fully pulled out table, so no one forgets to add its gorgeousness to their plate. Whats next? I like to make the day as stress free as possible – so make up the stuffing for the bird on 24th. Traditional Sage and Onion for me. I also love Chestnut and Apple – but we have a nut hater visiting, so keep it simple is the rule, and stick to one stuffing. I find this easiest in the food processor – a 35-year-old Moulinex! 3 slices of bread – zizz them into crumbs. Add a roughly chopped onion, and a couple of washed mushrooms. Zizz again. 3 teaspoons of dried sage, salt and pepper, and three skinned outdoor bread sausages. (Best to skin them – the skin sticks in the blades of the processor. Zizz again. Add 3 dessert spoons of water – to help bind it. Zizz a last time and transfer to a dish, cover and put in the fridge. 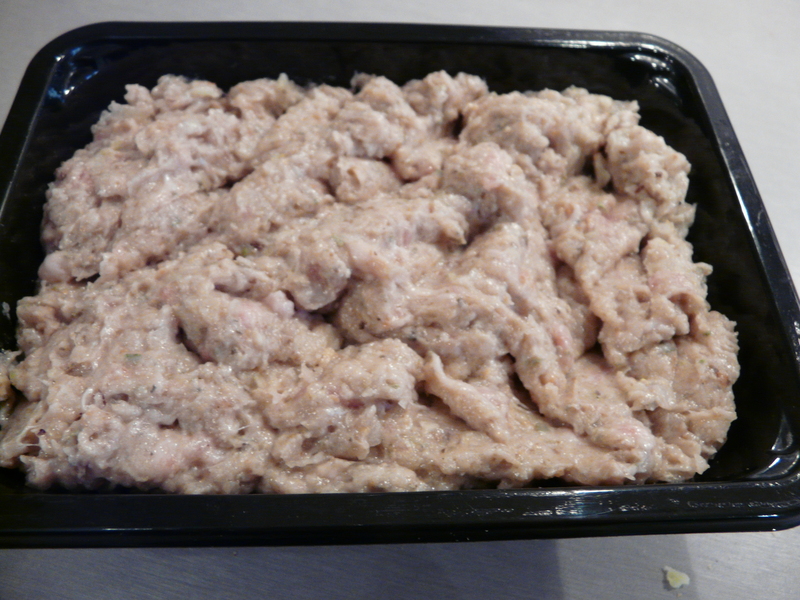 Stuffing is designed to keep the bird moist – which is why the lubrication of the fatty sausages is so important. OK – it looks like a cats dinner – but will be fine! Remember to take everything out in the morning, and hour before it is due in the oven, so it is starting at room temperature, and much easier for you to then get your timings right – and the turkey cooked. Our house already smells of Christmas. Good wishes to you all.